Welcome to Professional & Continuing Studies! 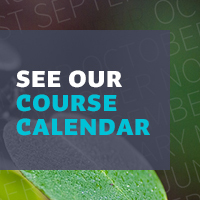 Professional & Continuing Studies at Royal Roads University offers courses, certificates, lectures and events on virtually every aspect of the new ways we can live our lives and work together toward a more sustainable existence. We have a variety of Professional and Applied Certificates and customized Contract Training opportunities. Our programs are designed to respond to contemporary organizational learning needs, enhance personal growth, knowledge and skills and provide broader perspectives on the world around us. Lifelong learning is a multi-layered mix, a fine balance between formal and informal learning, and lived experience. Rather than a beginning or a finishing place, Professional & Continuing Studies at Royal Roads University exemplifies learning as a work in progress, learning that invites a deeper initiation into a more participatory life with processes and outcomes that are highly personal and particular to each person. Whether your interest is in Professional Advancement, Academic Support, Green Learning, The Arts, Personal Enrichment, or time with esteemed Distinguished Speakers, discover the learning opportunities available through Professional & Continuing Studies at Royal Roads University.